Happy Summer! Now that summer has officially arrived, my family and I are on a more relaxed schedule at home and here on the blog, so we will be serving up summer friendly posts, in an easy breezy way all season. Let's kick off our first summer Wordless Wednesday post with some fruit that's in our June Fruit bowl. 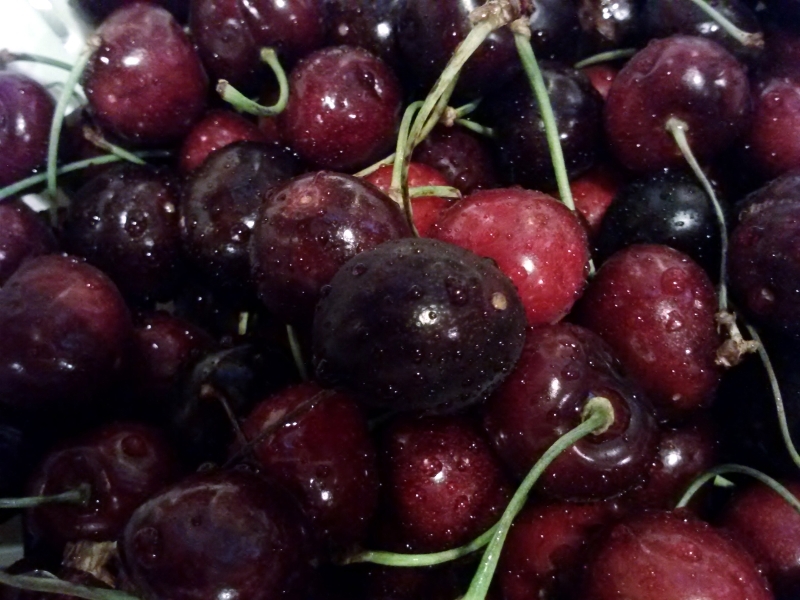 Black Cherries, my husband's favorite! Watermelons, nectarines, apples, bananas and grapes have all made an appearance too this month. Please share in comments: What's in your fruit bowl right now? And what is your favorite summer fruit? Aren't summer fruits wonderful? I love this part of the season! Oh those cherries look mouth watering good! I just love all the summer fruit. Grapes and strawberries are my favorite ones. Strawberries are my favorite too! I don't care for the fuzziness of peaches so i buy neactarines! Yum!! Yes they are! I need to go to the Farmer's Market and stock up! 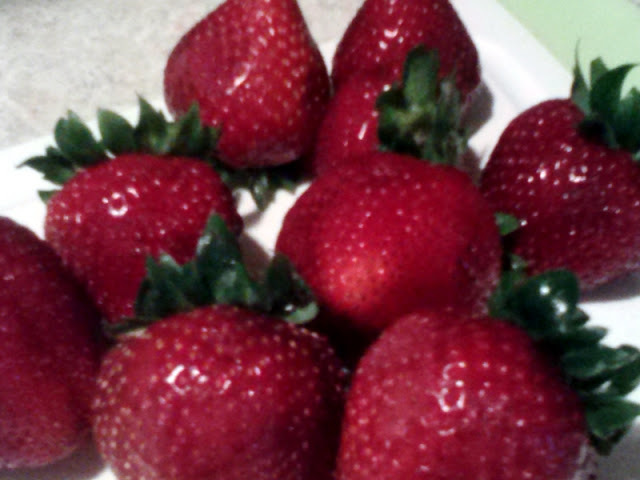 I could eat a whole quart of strawberries myself! I can understand the pricing in your area. Produce can get pricey here as well because it has to be shipped in. Some fruits do grow locally, and I try to buy from local fruit vendors which helps cut costs. I am anxiously awaiting the arrival of my blackberries! I've got my fingers crossed that we will get a good yield. 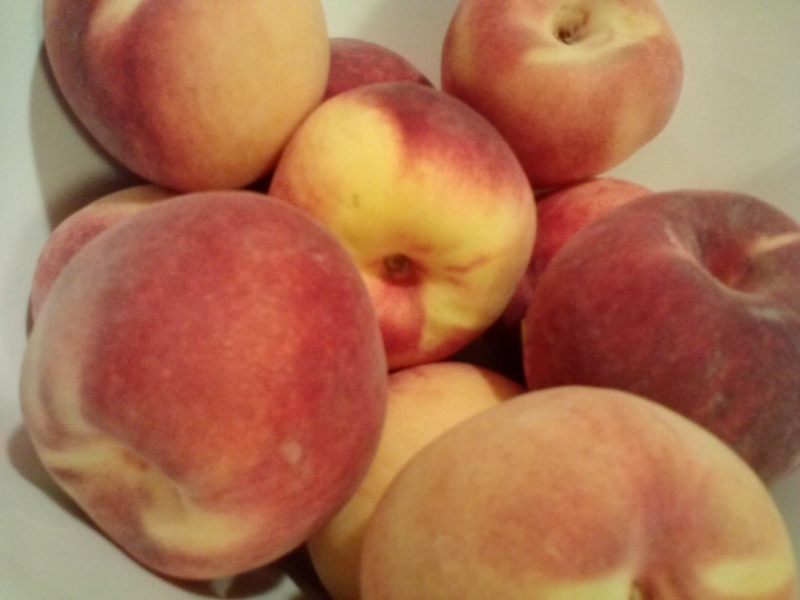 If I had to pick between peaches and nectarines, I'd go with nectarines too- just don't tell my kiddos! I love strawberries, peaches, grapes and of course watermelon! But then I love all fruit! I love fruit this time of year! I definitely have to price my fruit before I buy though. All looks awesome. I will take any fruit at anytime. Only have banana and apple in my fruit bowl but I have pineapple cooling inside the fridge! All are yummy and sweet! I can't wait to taste a really ripe summer watermelon! With the kids home from school now, our fruit bowl gets emptied quickly, so I have to watch who has what fruit on sale. Including the farmer's market prices which vary with vendors. Thank you! I try to keep some sort of fruit on hand everyday. Yum on that chilling pineapple you have. I have been eyeing pineapples here and waiting for the price to go down. You're welcome for the fruit pics! We just re-filled our fruit bowl yesterday. Still waiting for good prices on some fruits though in our area. Thanks for stopping by!